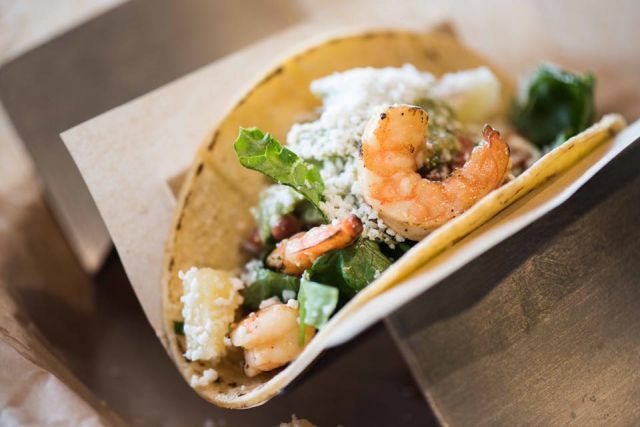 Qdoba adds new Fire-Roasted Shrimp to their customizable menu for a limited time this summer. - Surf and Turf Burrito Bowl - Fire-Roasted Shrimp with grilled steak on a bed of cilantro-lime rice, topped off with black beans, lettuce, pico de gallo, and chimichurri sauce. - Tropical Shrimp Taco - Fire-Roasted Shrimp in a warm corn tortilla along with guacamole, house-made pineapple pico, lettuce, and a sprinkle of Cotija cheese. - Fire-Roasted Shrimp Salad - Fire-Roasted Shrimp tossed with sweetened pineapple pico, guacamole, and cilantro lime dressing on a bed of crispy lettuce in a crunchy fried shell. Fans are also able to build their own QDOBA entrée with Fire-Roasted Shrimp, such as adding it to burritos, bowls, nachos and tacos.